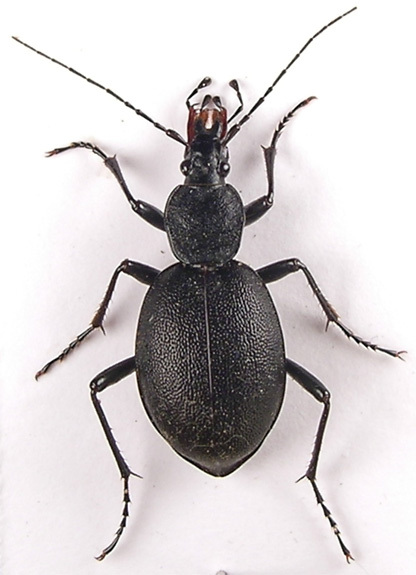 Female Widespread throughout the British Isles, this is typically a woodland insect but at higher altitudes inhabits moorland and damp grassland. 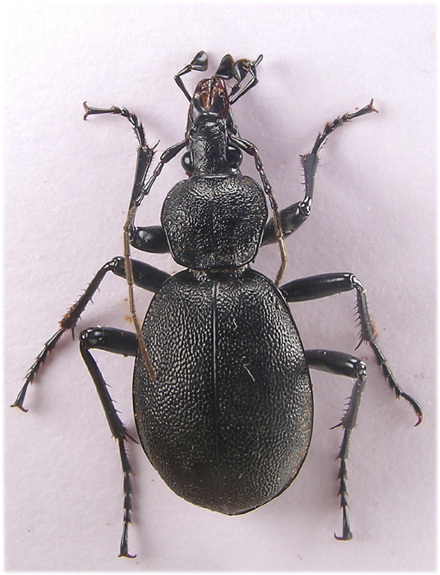 Although usually found singly or in pairs under logs or bark where it is damp, Cychrus can be gregarious; in Whippendell wood logs only a few metres apart often host several pairs. Larvae occur during autumn and winter from autumn breeding. 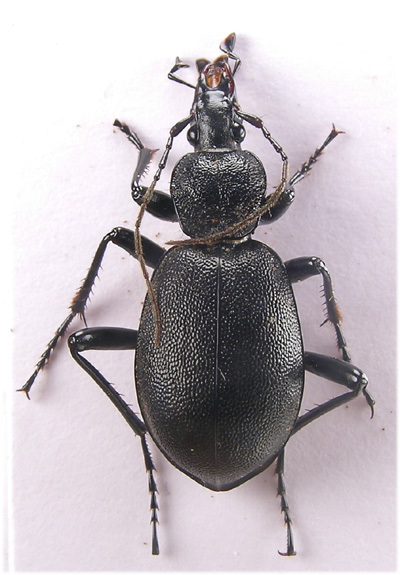 The narrow and elongate forebody is adapted to entering and feeding on snails, especially the small Oxychilis spp. 14-19mm. Very distinctive and unlikely to be confused with any other species. Entirely black. Head and mandibles produced, palpi long with terminal segment dilated, especially in the male. Appendages long. Pronotum flat, rugosely punctate. Elytra granulate and fused, oval and strongly convex.